It is now centuries and centuries since the last glaciers retreated from atop the geological formations that now make up the Solovetskie islands. Yet, the effect of the glaciers is still being felt. The same is true of an amazing fish pond that was built several hundred years ago. Up the coast a kilometer or two from the monastery complex is the Filipp fish pond. 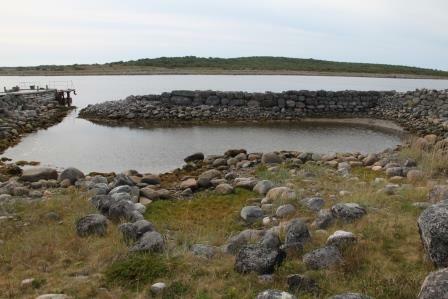 Built in the 16th century, the pond is formed by a small bay on the island that the monks cut off from the rest of the White Sea by building a wall of stones. They did this to create a saltwater enclosure where they could keep fish they caught fresh before eating them. The stone wall was built ingeniously more or less at the surface level of the water to let in some water to keep the pond from going stale but at the same time to keep the fish in and prevent them from escaping. If you go to see the fish pond today, the wall sits well above the water level, the result of the island rising up after the glaciers. The islands of Solovki have one of the most amazing, varied, and distinct set of ecosystems in the global north. Located at the border of the arctic climate zone and the boreal zone, the islands are characterized by their own, distinct micro-climates. The combination of the softening influence of the White Sea, the circulation and meeting of winds in the atmosphere around Solovki (and the meeting of different climate zones), as well as differing topographies and landscapes have all come together, with other factors, to make Solovki so distinct. Here on Solovki, within just a few miles of each other, one can come into contact with climates and ecosystems that on the mainland would be many hundreds of kilometers one from the other: pseudo-tundra, forest-tundra, and taiga, along with swamps and lakes. On an archipelago that covers only 300 square kilometers, one encounters a natural museum of northern ecologies. No wonder it is a UNESCO World Heritage Site. Exploring the extraordinary variations of the islands drove home for me the incredible importance of place and the intricate interactions of landscape, wind, temperature, flora, and fauna in developing the specifics of these micro-climates. Even small distances between island and island matter immensely. 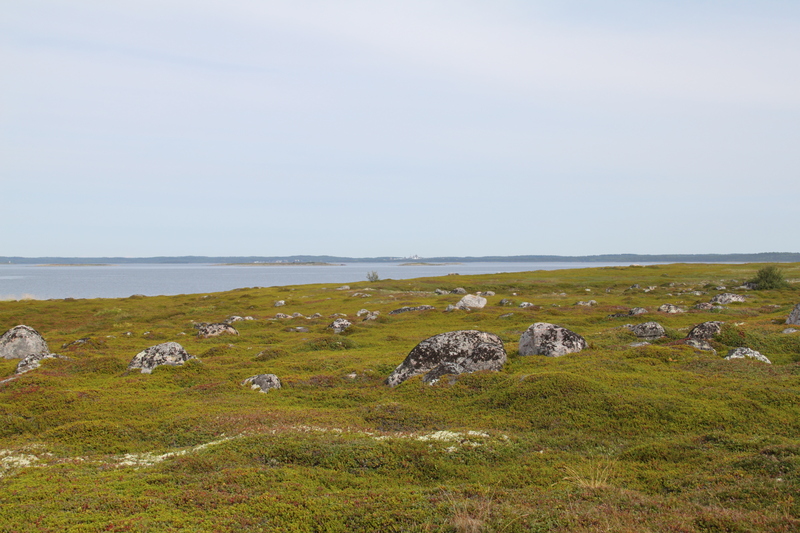 How the wind hit one island and not another, or how high the land stood up above the sea, could mean the difference between tundra and taiga—and these meant significant differences in flora and fauna. And differences in flora and fauna meant different soil types, which in turn affected the possibilities of what plants and animals might grow and how the local ecology evolved. We are accustomed now to speaking of the climate in global terms—“climate change”—and well we should. 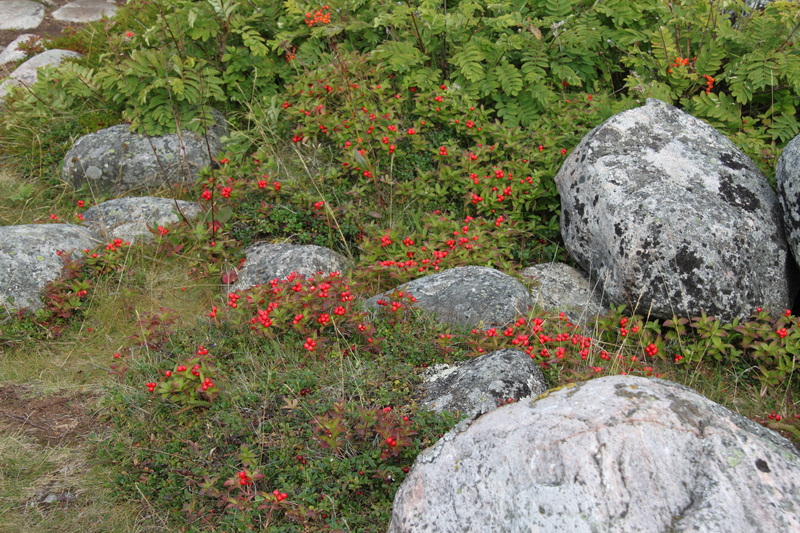 But, Solovki reminds us that, as in politics, in many respects all ecologies are also local ecologies. Slight differences in the intersections of water-soil-wind-living ecosystems could create (even in closely neighboring northern islands) remarkably different outcomes. Solovki was also a marvelous place to begin our work—to study the environments of the past, and the historical relations of humans and the non-human world. Here one could see and feel the diversity of outcomes that different combinations of natural phenomena could bring. 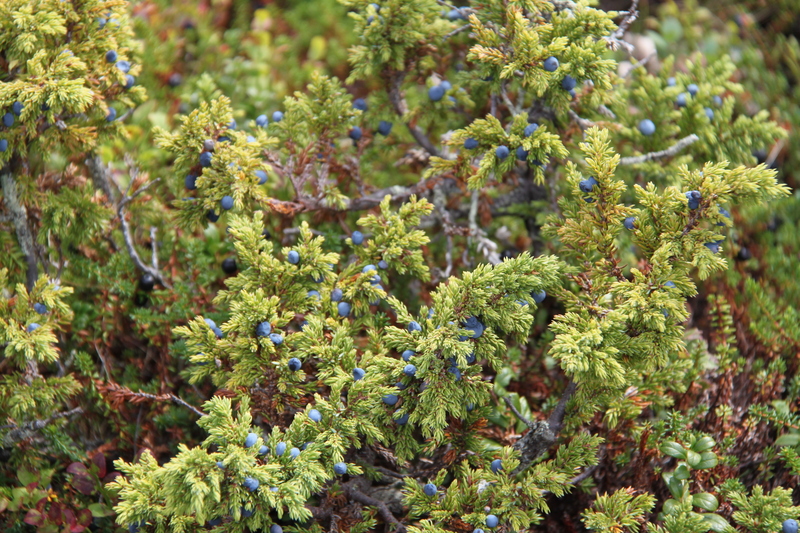 To stand in the openness of the tundra-like Zayatskii island, looking down at the myriad berries growing, was a completely different experience from standing in the forests of main Solovetskii Island. To be in nature was to appreciate anew what people in the past looked at and felt as they tried to make sense of nature and to make a life for themselves there. On Big Zayatskii Island, the winds affected the trees in remarkable ways. 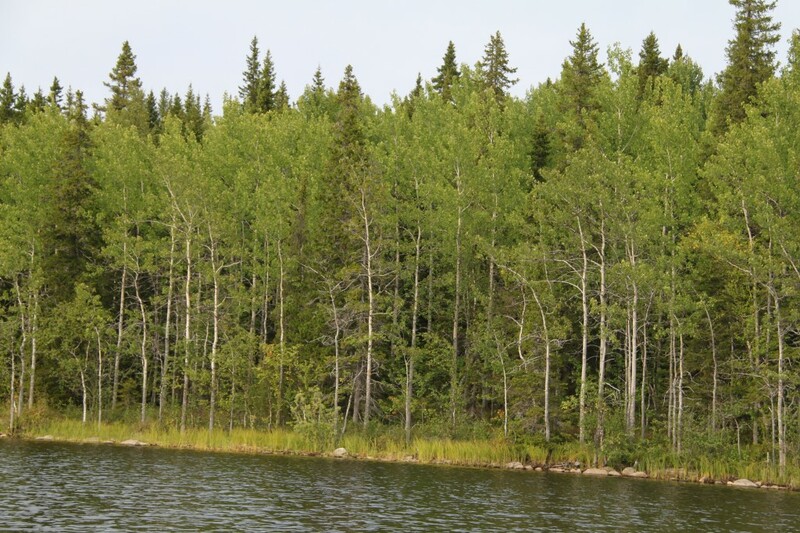 Small, bonsai-like birch trees, small, nestled themselves together in valleys where the winds couldn’t knock them over. Those that might dare nudge their tops out over the protection of the valley wall would feel the payback, and over time only the short survived. And these were so different from the forests that grew in the heart of the main Solovetskii island, protected from the wind. 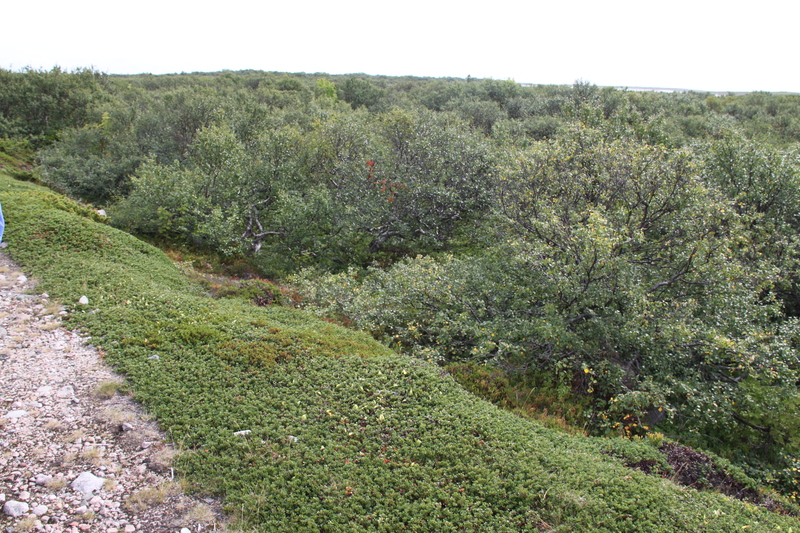 Below is a picture of the tundra-like landscape of Big Zayatkii Island, and then a photo of the widespread berries growing.